Kumbh Mela being recognised as an "intangible cultural heritage of humanity" was an achievement of the Narendra Modi-led government, Yogi Adityanath was quoted as saying in an official statement. Lucknow: Uttar Pradesh Chief Minister Yogi Adityanath today congratulated Prime Minister Narendra Modi over the UNESCO recognising Kumbh Mela as an "intangible cultural heritage of humanity". This was an achievement of the Narendra Modi-led government, the chief minister was quoted as saying in an official statement. "The country is touching new heights under the Prime Minister and earning new identity at the global level... the world is now looking toward India," the chief minister said. 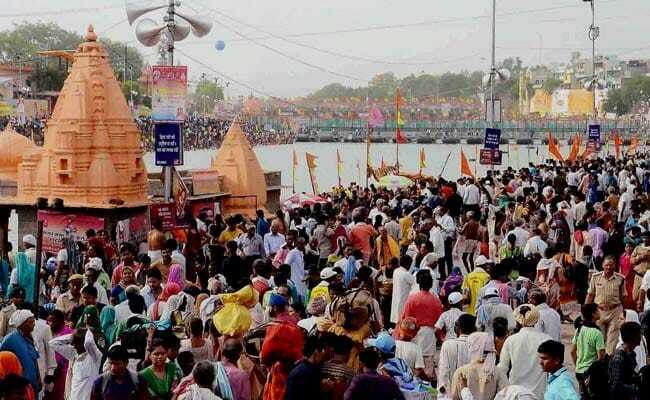 The Kumbh Mela was recognised by the UNESCO as an "intangible cultural heritage of humanity" in a Twitter post by the international organisation. The Intergovernmental Committee for the Safeguarding of Intangible Cultural Heritage under the UN body inscribed Kumbh Mela on the "Representative List of the Intangible Cultural Heritage of Humanity" during its 12th session being held in Jeju, South Korea. Kumbh Mela, considered the world's largest congregation of religious pilgrims, is held in Allahabad, Ujjain, Nashik and Haridwar.